Sulfonated fatty acid methyl esters, sodium salts are cleaning agents, or "surfactants," that are used as detergents. We use them to remove dirt and deposits by surrounding dirt particles to loosen them from the surface they're attached to so that they can be rinsed away. Sodium citrate is a builder that can also be found in various household products, including shampoos, mascara, and lipstick. We use it to make a product formula clean better by affecting the molecules in the formula so that they work together better. It can also be used as a stabilizer that maintains the clarity of the product and protects its pH. The pH of a formula can affect how long it lasts within a container – for example, limiting its tendency to corrode a can, container, or dispenser. To ensure product performance, it is important that our product formulas maintain their stability over time. Sodium mono-n-chlorosulfamate is a bleach alternative that we use to remove or lessen stains and odours. Sodium sulfamate is a stabilizer that we use to help prevent fading and maintain the colour of a product when it is exposed to light over time. Lauryl pyrrolidone is a cleaning agent, or "surfactant," that can also be found in a variety of products, including hand sanitizer, hair spray, and moisturizers. We use it in our products to remove dirt and deposits by surrounding dirt particles to loosen them from the surface they're attached to so that they can be rinsed away. 5,5-dimethyl-imidazolidine-2,4-dione is a stabiliser that we use in our products to help maintain the properties and performance of a product as it is exposed to air, light or heat. Sodium polyacrylate is a cleaning agent, or "surfactant," that can also be found in eye creams, moisturisers, and sunscreens. We use it in our products to remove dirt and deposits by surrounding dirt particles to loosen them from the surface they're attached to so that they can be rinsed away. Sodium polyacrylate can also be used as a thickener. We use it to improve the texture of a product and help it maintain a gel-like texture. Citric acid is a builder that can also be found in a wide array of household products, including laundry detergents, shampoos, and cleaners. Of course, citric acid is also found in citrus fruits, such as oranges, lemons, and limes. We use it to make a product formula clean better by affecting the molecules in the formula so that they work together better. Citric acid can also be used as a pH adjuster that alters the pH of a product to improve stability. Every formula has an optimum pH to make it work best. 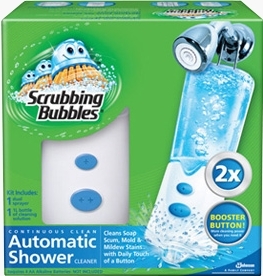 For example, a formula that’s more acidic works better for soap scum removal. Its opposite, a formula that’s more alkaline, might be more effective as a carpet cleaner. We use pH adjusters to make sure we achieve the best pH for a particular job. Also, the pH of a formula can affect how long it lasts within a container – for example limiting its tendency to corrode a can, container, or dispenser. We also sometimes use citric acid as a cleaning agent that removes hard water deposits, or as a chelator. Octylphosphonic acid is a phosphonate and corrosion inhibitor. It helps prevent the erosion or rusting of a can or dispenser. It also helps keep metallic household surfaces, such as taps and drains, free of corrosion. We know there are concerns about phosphates and their impact on waterways and surface water. However, octylphosphonic acid is used in low concentrations to limit the concentrations of total phosphate being used in SC Johnson products and potentially released to surface waters.